We love it when an event lives up to its name. A few weeks ago, Cambie+7 by Yuanheng Holdings Ltd.’s had its grand opening weekend. After the event, the development was already 60 per cent sold. If that’s not “grand”, then we don’t know what is. Cambie+7 is a two minute walk to the Canada Line, a three minute walk to the sea wall, and is close to several shops and restaurants such as Whole Foods, Best Buy, Starbucks, and Milestones. Buyers love the project’s convenient location, commanding views of downtown and the North Shore mountains, and its strong value appreciation ability. There is a nearly 100 per cent rental occupancy rate in the area, and locals rank in the top 1 per cent in median income in all of Greater Vancouver. Want to move into the area? You haven’t missed your chance. Cambie+7’s final release is now available and most homes are still under $439,900. 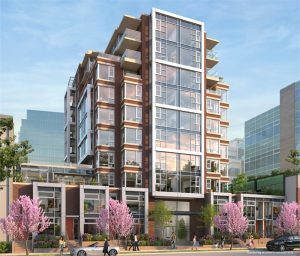 For more information on Cambie+7 call 604-568-5060, email info@cambie7.com or visit their website here.